Welcome to another installment of If My Book, the Monkeybicycle feature in which authors shed light on their recently released books by comparing them to weird things. 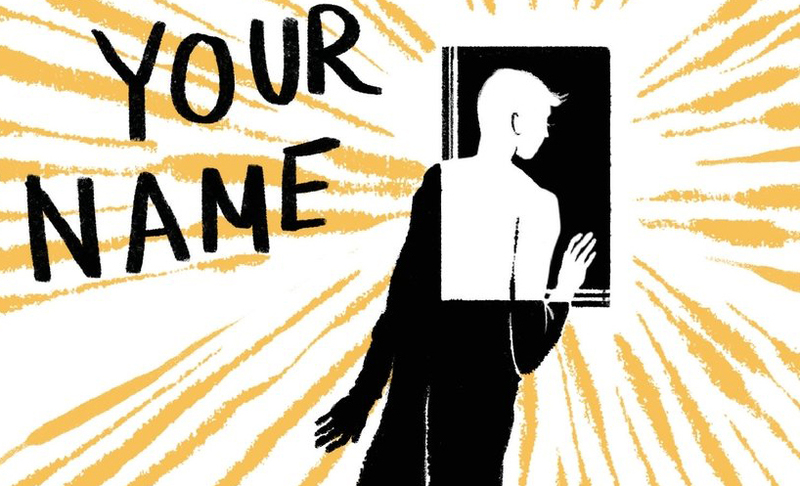 This week John Matthew Fox writes about I Will Shout Your Name, his debut story collection published by Press 53. If I Will Shout Your Name were a person, it would be a saint living in a desert, wearing a belt of thorns and drinking dew collected in the crevices of cacti, murmuring prayers in a language he did not know. He would be a saint who would smile at odd moments, as if privy to a private joke, a saint that preferred mysteries to solutions. He would be a saint who brewed his own beer, who once a year would dance in the center of the town square to music only he could hear, and who carved flutes from scrap wood. When visitors asked this saint why he lived the way he lived, he’d tell each one a different answer, because he took pity on their need for answers and because he never knew himself. If I Will Shout Your Name were a place, it would be a small town in an obscure foreign country, a town easy to pronounce but difficult to spell, a town that Aunt so-and-so was saying that a neighbor once visited—not on vacation and not for work, but to visit a cousin suffering from depression. This town would have asphalt that petered off into dirt roads and bars filled with locals that stared when strangers walked in. On the surface this town would appear normal but visitors who lingered would start to feel discomforted by the locals walking around the polluted lake at night and the howling that did not sound like any known animal. This town would evenly divide all visitors between those who wanted to return someday (though they couldn’t explain why) and those terrified by it. If I Will Shout Your Name were a language, it would be one overheard in a crowded marketplace that sounded vaguely familiar, not your mother tongue or one you know, but certainly a language that you’ve heard spoken before, one that you can name, and only after eavesdropping for some time would you realize that it was not a language you recognized, in fact you had never heard the phonology or syntax of this language before, and yet you felt certain that if only you could crack the code and decipher what was being said that something magical and life-changing would happen, but you would not be able to find the speakers or hear it again though you searched the rest of your life, although you would think you heard it in three distinct moments: in the cries of your wife as she climaxed, in the wails of your child as he came into the world, and from your own throat in the moment of your death. 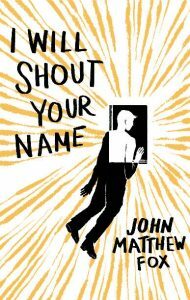 John Matthew Fox is the author of I Will Shout Your Name, (Press 53) and has won the Shenandoah Prize for Fiction, the Third Coast Fiction Contest, and won 2nd place in the Chicago Tribune Nelson Algren Award. He provides editing services and resources for writers at Bookfox, which has received mentions from The Guardian, Los Angeles Times, Publisher’s Weekly, and The Huffington Post, and earned an MFA from the University of Southern California and an MA from New York University. Find out more at thejohnfox.com or follow him on Twitter at @bookfox.